Henan Gongwei Machinery Equipment Co., Ltd., established in 1993, is a professional manufacturer engaged in the research, development, production, sale and service of Vibrating Screens, Vibration Motors, Vibration Feeders, Rubber Springs and Wall Vibrators. 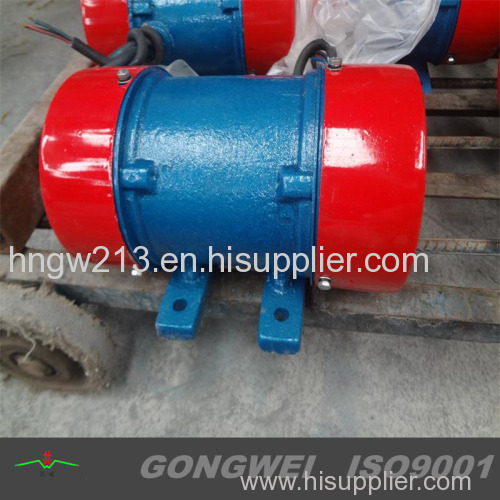 YZO vibration motor is a common vibrating source for various vibrating machines, such as vibrating feeder, vibrating screen, oscillating conveyor, vibratory shakeout machine, vibrating drier,shaking table and so on. It is widely used in electric power, building materials, coal, mining, metallurgy, chemical industry, light industry, foundry and other industries. 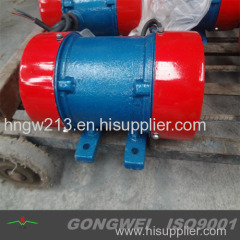 Mainly used in electricty, building, food, coal, mining, light industry, chemical, cement, railway, port industry and so on for vibrating feeder, vibrating transportation, vibrating mine selection, vibrating sieve and the anti-blocking equipments of the silo, etc. lts most remarkable features are small buik, light weight, strong vibration force, stable amplitude, adjustable force, wholly sealed machine shell, being able to work in any dusty environment without requirements for preventing explosion. Protection class is IP44, IP54, IP55,etc.